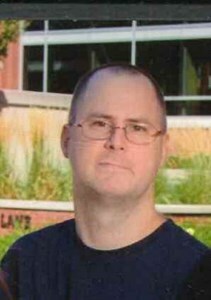 Newcomer Family Obituaries - Thomas David 'Tom' Mellinger 1972 - 2018 - Newcomer Cremations, Funerals & Receptions. Thomas David Mellinger, "Tom", age 46, of Canal Fulton, Ohio, went home to be with the Lord on Monday, November 26, 2018 at Mercy Medical Center after suffering a massive heart attack. He was born in Barberton on April 3, 1972, the son of Richard I. Mellinger, Sr. of Green and Linda E. (nee Sells) Mellinger Bunch of Akron. Tom was a 1990 graduate of Green High School and also of Point Park University in Pittsburgh. He worked as an industrial engineer for Industrial Technologies, Inc. in Akron. He enjoyed playing the guitar, and watching movies, but his greatest joy was spending time with his family. In addition to his parents, Tom is survived by his loving wife, the former Katherin J. Smith, whom he married on October 3, 1998; his daughters, Rebekah, Rachel, and Alexandra Mellinger; his step-father, Phil Bunch, his step-mother, Kay (Bob) Nichols, and his father's companion, Cheryl Heckman; his grandmother, Pat "Grammy" Sells; his siblings, Lisa (Michael) Conner and Richard I. (Melinda) Mellinger, Jr.; his wife's sister, Stephanie (Lance) Britt; his nieces and nephews, Nickolas Conner, Richard T. (Dominique) Mellinger, Daniel (companion-Kathryn) Mellinger, Elizabeth Mellinger, Leighton Mellinger, Taylor Britt, and Blake Britt; his great-niece and three great-nephews, several aunts, uncles, and cousins also survive. Tom was preceded in death by his wife's parents, Robert and Sarah (nee Clauss) Smith; and one nephew, Nathan Conner. Funeral services will be held at Newcomer Funeral Home, 131 North Canton Road, Akron on Monday, December 3, 2018 at 3:00 PM, where Pastor Douglas Dill will celebrate Tom's life. Family and friends may visit at the funeral home on Sunday, December 2, 2018 from 5:00 - 7:00 PM and again on Monday, one hour prior to the service. Following services Tom will be cremated. In lieu of flowers, memorial contributions may be made to any of the First Commonwealth Banks in the Thomas Mellinger Memorial Fund. Add your memories to the guest book of Thomas Mellinger. When we were young, Tom was always the go to person to make you laugh. We had a lot of good times. Tom, I know you will be greatly missed. Continued thoughts and prayers for your entire family. We are very sorry to hear about Tom . The family is in our thoughts and prayers . He is in Gods hands . He will be at peace knowing he was loved by family and friends . So sorry to hear this news. Will keep family and friends in thoughts and prayers. I am so sorry to hear this sad news about Tom. I worked with Tom for several years at Akron Electric. He was a great guy and very funny. We used to sing 80's rock songs through out the day at work. Sometimes making up some really good lyrics to the songs on our own. He made coming to work every day, very entertaining. We shared that love for music and will never forget him.